The good news? You can set your home up with systems to streamline your life. I have six simple things you can do right now to get started. If you are trying to get into a cleaning routine (or better yet, my cleaning routine) and are just struggling with the daily stuff, clutter, and mess, stop the cleaning routine and work on these things this week and start over with the cleaning routine next week. Are you following me on Instagram? I post my weekly cleaning routine there too! CLEAR and WIPE YOUR COUNTERS DAILY. It sounds so simple doesn’t it? But in reality it takes some effort. Start with the kitchen counters and wipe them off after meals and at the least dinner. 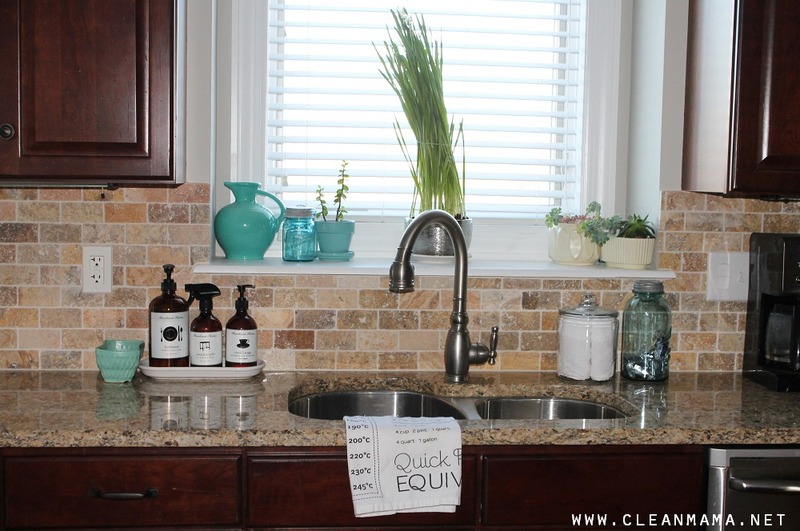 Then once you feel like you’ve got a handle on that task, add checking the bathroom counters to your routine. Put that toothpaste tube away and put the toiletries back where they belong. Give the counters and sink a quick wipe if necessary. WASH THE DISHES AND CLEAN YOUR SINK. At the end of the day, the last thing I (you too?) want to do is unload and/or load the dishwasher. The silly thing is that this dreaded task only takes a couple minutes. Why do we always put it off? Get in the habit of loading the dishwasher after dinner, wiping down the kitchen table, clearing and wiping the counters, and give that sink a little scrub. When you get up the next morning you will be so glad you did! Are you already doing these simple tasks? What can you add into your routine this week? Murchison-Hume products are to the left of my sink. I use white trays in the kitchen to keep items neat and tidy (I also have one for honey, sugar, cinnamon sugar by the coffee pot.) I also have Fiestaware dishes and love them if you are looking for simple and attractive dishware that works well with kids. The aqua pitcher in the window is also Fiesta. The adorable green sponge holder is vintage Roseville pottery. The tea towel is from Crate and Barrel. I keep bar mop towels on the counter – you can see mine in my shop here. The container that holds them is Anchor-Hocking (from Target). I keep dishwasher tabs in a vintage Ball jar. The little succulents in the window love vintage pottery – Red Wing is my favorite. What products are on the left of your sink and where did you get them? Great home photos. Absolutely! Choose your favorite one and use it for all counters – laminate is easy to clean and very durable! Do you reuse the bar mops several times before washing or just use them once? How do you clean your dish scrubber brush? Or do you just replace it whenever it starts getting grubby? I usually use mine too long, and eventually replace it after trying to wash it in the dishwasher multiple times. Thanks for the post. Love all of your ideas and am printing this to share with my family. All the kids are old enough to be using these ideas but could use a gentle reminder! I use a paper towel and clean underneath it every week or so – yes, it’s gross! I run my stopper through the dishwasher every so often. It cuts down on the yuck factor! Thank you so much for writing!!! I keep a dish brush handy for that garbage disposal stopper. Squirt the brush with dish soap, scrub quick, and rinse. Both the brush and the stopper go in the dishwasher as needed…but I keep an extra drain strainer (OXO brand) to cover the disposal while the stopper is in the dishwasher, to make sure no innocent family member accidentally drops something down the disposal while the stopper’s being washed. I wash my dishes by hand. The first thing I do after drawing the water is give the rinse side a wipe with my soapy dishes rag. Then I wash the disposal plug. Everything is clean for my freshly washed dishes to await rinsing. We use our grey water on the plants outside after hand washing our dishes. Haha! “MOST” people will never, ever think once about cleaning that! It’s amazing how nasty people are….I just can’t comprehend it. I put the disposal cover in the dishwasher to clean it. will freeze up and nasty shredded ice will come to the top. That’s when I pour dish detergent into the ice and run hot water into, thawing it and cleaning it. The ice will also sharpen the disposal blades. Bleach will eventually eat the rubber seal! Where did you get the container that holds the baking soda mix? Or did you make it and if so, is there a tutorial on that? It’s just a Ball jar with cardstock in place of the lid. I punched a couple holes in the top 🙂 There should be more instructions in the link in the post to the recipe. Or, use the lid from an empty parmesan cheese jar-they fit the small mouth mason jars and they have a shaker! I use a salt container top. I cut it to fit the jar and then I have a pour spout. i found ball lids with holes (in a flower design) at my local craft store. Dollar General has all kinds sizes and is usually the cheapest. what color is your bedroom? I love it! 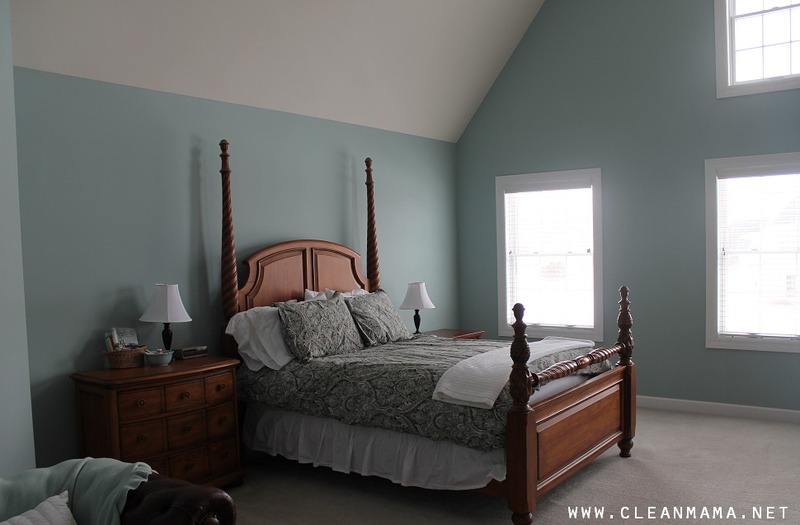 It’s Benjamin Moore’s Wedgewood Gray – thanks! Any Wedgwood color is lovely! Blue, grey, lavender. Very pretty. It’s the heirloom dishwashing liquid, counter safe, and cook’s soap. Thanks for the post! Perfect timing!!! This is an awesome post!! I needed this pep talk. I recently found you via Pinterest when I was sick during the holidays. I did some organization the week after New Years…major job! Then last week tried to start implementing your routine (mine was not working). Well mid-week I got frustrated because I kept finding more to organize and fell behind on the cleaning. So I have started over this week in hopes it will stick! You are such an inspiration. Thank you for your blog. Reading this post was like you are inside my head! 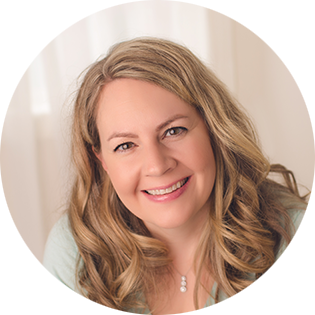 These are the exact struggles that I am facing and I needed the backup to get myself in a better organized home life 2015> Thank you! You are so welcome, Quinn! Hi what size Ball jar are you using for your dishwasher tabs? Is that the quart size? Great tips (and beautiful home!)–thanks! Wouldn’t the eo stain the carpet or create oily deposits that would attract dirt? No, it’s extremely diluted and the oil is absorbed into the soda. Thank you for giving me hope that housecleaning can be manageable. Feeling especially overwhelmed today. Just ordered your book and new cleaning supplies. Thank you infinity! love your post. I have a cleaning problem you might have an answer to. I have a (once) black kitchen sink of some sort of stone like material. It was not maintained well by our tenant and now it always looks cloudy, dull and has no luster. I’ve tried pledge, special sink cleaners, and just about everything I find on the store shelves. After the water is turned off, it’s back to dull. Any suggestions? My parents have the same issue with their black tub. The glaze is worn off. It doesn’t matter how much you clean, it still looks like soap scum is on it. Windex temporarily will make it shine – but the first time it’s used the cloudy appearance is back. If it’s a black Silgranite sink I have a couple of suggestions you might try. I wipe mine down with the soapy dishcloth when I finish doing dishes. Every couple of days I use a Magic Eraser on it and it cleans up beautifully. I have a friend who swears by her method — after doing evening kitchen clean-up, she wipes mineral oil on her black sink and then wipes off the excess with a paper towel. Good luck! Dull porcelain enamel is caused by dirt, hard water buildup or small scratches in the surface of the enamel finish. Bring the shine back to the sink so it looks like new again by cleaning and polishing it correctly. Harsh abrasives scratch the outer enamel coating. Although these small scratches aren’t visible, they do dull the surface and they also trap dirt so the sink appears dirtier than it is. Cleaning properly at least once a week prevents damage and keeps the sink sparkling. I have a black sink like that also, I found this stuff called “Hopes Perfect Sink” removes tough stains, cleans,shines & protects…It works, I ordered it. It works! Sounds like you have a Moenstone sink. My husband sells them and we actually have two in our home. Always have used Softscrub with bleach! All I have ever used to get the shine return to a porcelain tub/sink is cleaning vinegar. Works every time. I have a composite granite sink and the manufacturer recommends rubbing the sink down with plain vegetable oil. After rubbing it in, wipe off the excess. If you have stains I would clean it well then condition it with the oil. I have had mine for a couple of years now and it looks brand new. I love this sink and find it very easy to keep clean. Hope this helps. Hi, love your hints and really just the whole site. I do have one request. You have links for pinterest, etc. I just wish you would have one more. I could use a “print” link. When I try to print the page, I get all the ads, etc on the right side of the page. I would like to print some of your tips, so I can post them on our family bulletin board. This article, especially, would be a gentle reminder to the kids so they can begin a routine.LOL Thanks again for all you share with us! I haven’t tried this on her site, but I will usually copy and paste the text into word. There I can change the font size, fit it on a page however I want, and print it. Anytime I want to save a link so I can refer back to it, I just copy the web address, paste the address in the body of a ‘new’ email and send it to myself with whatever subject I want in the subject line. That way I have the whole address to be able to go back to and don’t have to look through. I do this all the time and it works for me. Where did you get your backsplash. Love the mini-bricklayer pattern. LOVE the tiles and the counter tops!!! I love your countertop and backslash too, do u remember what the color/pattern is called? 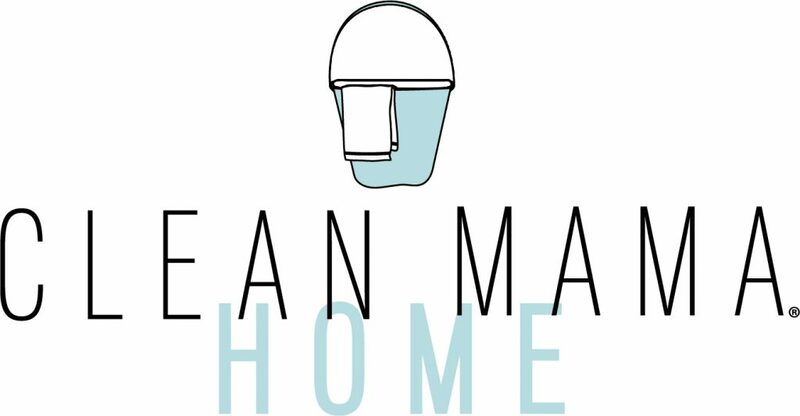 I’ve just bought your Organically Clean Home book via iTunes and wanted to ask if you can put essential oils in with liquid laundry detergent or fabric softener using a front loader? We use Abode cleaning products but I’m wanting a stronger fragrance. ps: will I get an email notification when you reply? I may forget to look for a reply here. Yes, you can use essential oils with any washing machine! Where do you keep your bread? We can’t seem to make our breads: loaves, rolls, bagels; any we might have purchased from a large shopping trip, look organized on the countertop. It’s usually a pile in the corner of kitchen. I have a cloth basket that I picked up a tjmaxx and put it in the corner bread stands up on it and it is “out of sight” before I used a bread box but I always had it overflowing. same here …. except i keep mine in the fridge, but hubby doesn’t like his in there so his piles up all over the dining room table getting moldy. I use a “new but looks old fashioned” breadbox I found on the MoMA website. It’s red and that’s perfect for my kitchen. Love this post!! Any shortcuts to keep my house looking good.. love the bread tray I just ordered a white and turquoise one!! Love those dish soap to!! I really love your kitchen!!! Finally, a woman who thinks like I do! LOL!…I have been a clean freak all my life, but it seems so easy to me, if people would fallow the steps you have provided it would save them so much time…Putting things back after your done with it, is a big one!…It takes more time to pick things up, then it does to clean a bathroom, vacuum, sweep Ect… Great tips you shared! My disgraceful downfall is the stacks of greasy pots and pans! I rarely eat fried foods but hubby wants EVERYTHING deep fried (yes, i know it’s the worst thing in the world for him but he’s always eaten this way and at his 86 yrs of age all his doctors have told me to let the man eat anything he wants to), which of course splatters grease all over the kitchen and leaves pans, the stove (and my lungs!) full of near burnt, sticky, grease that i don’t know what to do with (plus those grease filled pans are heavy making it that much harder to empty and deal with). What do i do with all that unsavable grease? If i pour it onto the ground at the back of our property our dogs get in it, rolling in it and bringing it indoors on their fur. If i wait til it cools and dump it in the trash i’m always worried the bag will leak and i’ll end up with grease from here to there. Even then the pans still have to be warmed up again to finish cleaning the rest of the grease out of the pan – i’d rather deal with it asap after cooking, while it’s all hot. Actually i’d rather not deal with it at all, this is the worst chore in my entire house. In all the self-help blogs, and articles, this greasy issue is never brought up. Brianna – Try white vinegar either by itself or diluted in water. Put it in a spray bottle, spray, rub, repeat if necessary, then dry it off. As it dries the vinegar smell dissipates. Another option is baking soda paste. Mix 1 part baking soda and up to 5 parts water, spread the paste where needed, with a clean cloth. rinse with water, and repeat if necessary. I let my grease cool and then take napkins to wipe it out into the trash. It is no longer in liquid form so it won’t leak, but you may have to wait a couple of hrs. I have also saved a metal coffee can to pour grease into and then just dump the entire can in trash. I don’t fry much, but I wash and save small cans ( like tuna cans) for draining the grease from frying hamburger meat. Let it cool and put in the trash. Clean remaining grease from pan with paper towels before washing. I also put a used paper towel in the can to absorb some of the grease so it doesn’t make such a mess in the bin bag. I pour my hot oil/grease into an old glass jar. Put the lid on. When it’s full and cold you can bin it 🙂 . I also use an old jar, let it cool and freeze it. I lay newspaper out and then make a bowl out of aluminum foil. I pour the grease in the foil, wrap it up, fold up the newspaper, put it all in a plastic grocery sack and tie it up and put it the garbage can. Set an old can or jar in the sink and pour your warm or cool oil in. If you spill it’s contained in the sink. A paper towel or plate underneath is an option. Then store container in freezer. Continue re-using until full. Throw away the entire frozen container in tied off plastic trash bag on trash pick up day. Wipe greasy cooking pots and utincils down with paper towel, partially used paper napkins, or leftover take out napkins to prevent extra grease from your drains. I save the jars that I opened for the meal, and pour the grease in them, then put on the lid. Spaghetti jars work well, and if you don’t need your jar on the night you use it, rinse and store under sink. My jars rarely sit around more than two weeks. Came up with this because of the same problems of grease leaking out of trash bags, yuck. Great idea about spaghetti jars for grease i would have never thought of that! 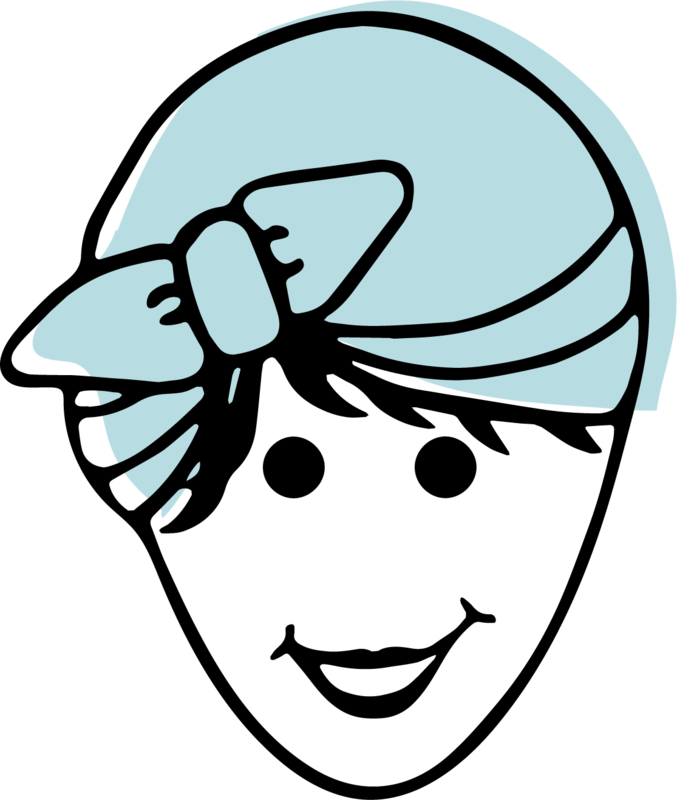 I just came across your website and I am a CLEAN FREAK however, with 8 kids it’s very hard to clean, do my daily errands, be with the kids not just be there with them and be a maid, cook, taxi driver, home work checker, food shopper, SUPERWOMAN!! 🙂 So I’ve tried a couple different cleaning sites and things seem more complicated than they need to be. I like your site so far, the only question I have is things like washing down kitchen cupboards, my kitchen table/chairs and stools, doors, cleaning out drawers or even just polishing. When you polish weekly do you polish dry or with something (every week?) do you polish the whole thing or just the tops? If you just polish dry and just the tops when do you do the rest? Is the hammered silver pot over your sink chives? Everything looks beautiful thanks for all the info. Love your posts! 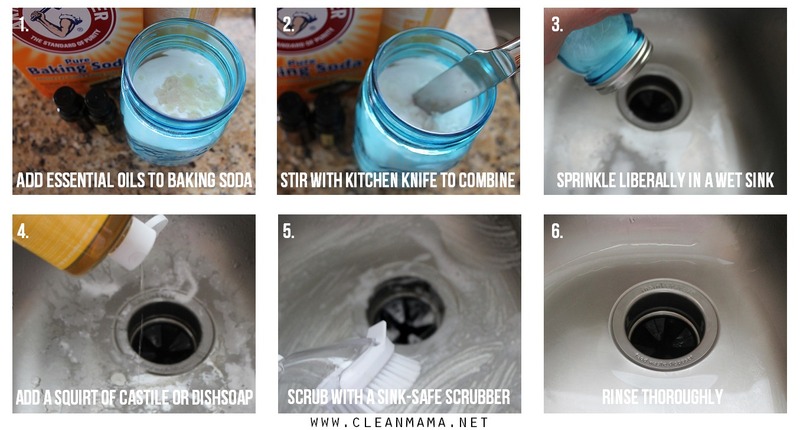 Where do you find the sink safe scrub brush? Thanks so much! So nice. I love Fiestaware, also. I just bought that bedding from Pottery Barn. Love it, too! LOVE the kitchen. All sparkley and pretty. My problem is everyone tends to snack and drink after supper and I still end up with a sinkful of dishes for in the morning. I agree with the putting something back immediately, but how do I get my husband to do this? I have bought a container for ALL of his things to go in and be organized, but that hasn’t worked….Love your pics and ideas. Thank you! I fill the dishwasher after supper but I don’t run it right then. Before I go to bed, I put the snack glasses, dishes, etc. in the d/w and turn it on. First thing in the morning I unload it. Any chance you can make this into a free printable, that way you did with today’s post about speed cleaning? I wrote these six steps on my white board, but then my kids erased it…. They’ve been so helpful and such a good reminder of where my focus needs to be and that when I do those I feel accomplished at the end of the day! Keep Rubbing alcohol close by to shine ALL your stainless steel effortlessly. Where do you buy these essential oils? Do you get them on-line or are they available in stores? Thank you for this website. I am a newbie and love it. Do you wash your bar mops every day?? If not, what do you do with them? No, I let them dry and put them in a basket until I have a small load of them and then I wash them with kitchen towels on hot. Great information!!! Could you recommend how I can remove orangey stains on the white grout of my white subway shower tile? We faithfully wipe down the shower with a towel after every use, but these stains from the water continue to appear?? Thanks! The stains are probably from iron deposits in your water. (At least in this part of the country, thats the culprit.) I’ve had really good luck cleaning the stains with lemon, baking soda and for the really tough ones, salt. Just sprinkle the area with water; then a good dusting of baking soda and let it sit for a bit. Cut a fresh lemon in half and use it like a sponge to scrub the area. It sometimes takes a bit of elbow grease and a couple of lemons, but the stains will disappear. If the stain is particularly stubborn I have VERY SPARINGLY used salt along with the baking soda. This can cause surface scratching though so use at your own risk!!! I would personally rather have a few scratches and zero stains. I don’t make my bed every day, but I substitute cleaning off the kitchen island for that step. Along with the other things that you and I both do, it really does keep things under control. I like that plant…where is it from? I have so much Fiestaware that my kitchen designer had my new glass-door cabinets installed with extra support! They are so colorful but SO heavy! Thanks for the new idea for bread trays! I am always looking for new ways to use all my Fiesta! I love this post! I especially love that you use Fiestaware! I live in Pa right across the state line from where it is made. I love it too. It is made in USA and has such fun colors! My girlfriends and I go to their tent sale…get seconds for great prices! Daily laundry and (at least) every other day vacume floors. I do ALMOST everything on your list daily – the main thing I don’t do is the dishwasher. I hand wash all our dishes (yep, three times a day), but I don’t dry them. I leave them to air dry (read somewhere a long time ago that it was/is better than using a dishcloth). Table, counters, and everything gets wiped down but I put the dishes away in the morning while fixing breakfast. Oh, in case you are wondering, there are four of us – my husband, my two and a half granddaughter, my fourteen months old granddaughter, and myself. We try to do those things. But living in the northern mountains, we often don’t have running water, and so we do what we can. I am working on making these things better habits myself. I am also teaching my kids that as soon as we get home from school/work, they need to put away their laundry and put away their age worth of things from around the house. For example, the 11 year old puts away 11 things, the seven year old puts away seven, and the four year old puts away four. It’s not overwhelming, but done every day it helps a lot! I’m not telling if I put away 36 things! LOL! Hello! I live in a rent house and the bathtub is the older white kind and the glaze is worn off so it is very porous. My husband is a mechanic and of course is covered in grease lol. Any idea how i can get the grease stains out of the bathtub? Thanks in advance!!! Such an inspiring post! Thank you. I always enjoy your blog posts! Such handy hints! I so enjoy your website and helpful hints. I’m retired now and all my children are grown. At one point we had a span of ages 17 down to 2 living at home. The older children were required to help with wash as I always worked full time. I had certain towels for the smaller children but when I needed one it wasn’t available. So, I assigned each child a number for their towels. The linen closet shelve was also numbered to organize their towels. It worked perfect, I was able to monitor who was doing their wash. No towel hogs anymore! I would LOVE to see you post some YouTube videos about cleaning tips, your routines, etc. I usually go to YouTube for cleaning motivation and I would love to see videos from you. Any chance of that happening in the near future? 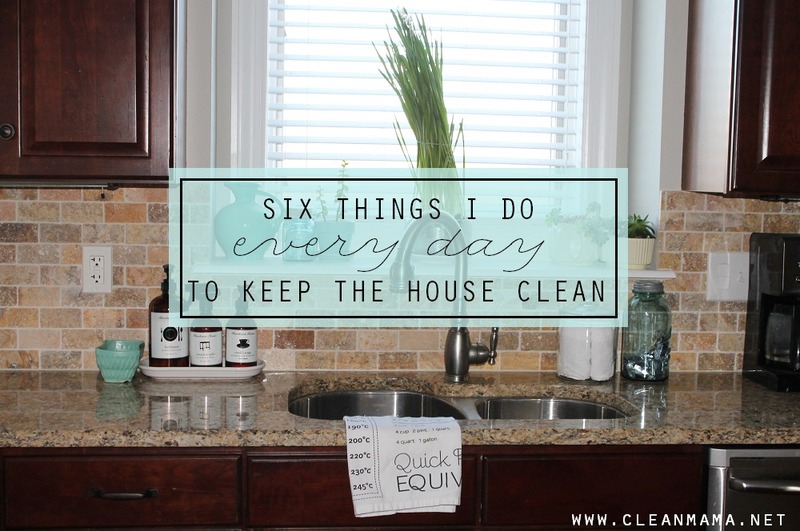 I already do all of these things to maintain a clean home, or at least try to. How do get my SO to get into the habit of doing these things? I ask them to try and they might once or twice and then it’s as if I never asked. I use oven cleaner to clean the garbage disposal rubber seal and opening on my sink. Just spray it on and wait. You’ll be shocked at how easy it cleans sparkling! I stink at house cleaning..I have let the clutter get out of control I love these hints you post! I have a question about the sink cleaning though..I have a ceramic sink so it needs a different touch due to it being pour is (I think! Usually use comet) Any other ideas or will this recipie work for all types of sinks? Gonna have to check out your book to see if I can give it a try and conquer my mess! Look up Fly Lady’s How to Shine Your Sink. Everyone thinks I am such a neat freak. Really all it is is your tips, lol. Make my bed as my feet are hitting the floor makes my bedroom look so neat. Clean bed makes room look clean. Messy bed and a clean room makes the room still look messy. Wash those dishes and put away as you use them kitchen always looks clean. Keep garbage can hidden makes house look cleaner. Simple tips and people think you slave over housework everyday. Train your kids early! Good tips. I hate cleaning. less is best…for less of a mess….. I have gotten into the habit of making one side of the bed, the side I get up out of, the minute I stand up out of bed. After I go to the bathroom and have coffee, I come back in to put on my clothes and, the minute I walk in on that side of the room, I make the other side of the bed. It is just automatic now, 60 seconds per side, and my bed is made every day. My husband told me a trick that cleans my disposer and empties my ice bucket in the freezer. Turn on disposer, and add ice cubes til it freezes up, add dish soap to ice, then run hot water to melt the ice. It seems to take all the gunk away. Hi Becky! Totally love this post! I have a hard time always sticking to one task at a time and this list will really help with everyday cleaning. It is always difficult for me to keep my home clean. And you advice is helpful for me. Maybe I need to apply them in my routine! Thanks a lot. They are useful. Your website and printable planners are very inspiring to me! Oh my goodness I need to learn as much as I can from you! I have been feeling very overwhelmed with housework, where do I start? One of my main questions is about rags, where do you put them after you are done using them before you launder them? Mine are piled in a basket under the sink. :/ Yeah…I need some serious help, because they are gross and grimy no matter how often I wash them.